Spoilers... and speculation for 'Terra Nova' are in this thread. I have put each different 'spoiler' per se, in bold as way of separating different information. Terra Nova – the high-concept series that Fox picked up for midseason – just hired a director for the show’s much-anticipated debut, EW has learned exclusively. Alex Graves, who helmed the pilots for ABC’s The Whole Truth, Fox’s Fringe and NBC’s Journeyman, will now direct the drama about a family 100 years in the future that travels back to the prehistoric era. The project received a 13-episode commitment from Fox and filming will likely begin in Australia at the end of the summer. The show’s auspices read like a who’s who in Hollywood; the executive producers include Brannon Braga (24), Steven Spielberg, ex-Fox Chairman Peter Chernin, agent-turned-producer Aaron Kaplan, Craig Silverstein (Bones) and Kelly Marcel, among others. Meanwhile, EW obtained the script for Terra Nova, which begins in 2149 A.D. The scene: a large group of settlers are preparing to leave the apocalyptic world they live in to time travel back millions of years via a massive, high-tech contraption. Their goal is to see trees, enjoy a blue sky, eat real food – basically, to start over in this so-called Eden. But what they find is unlike anything they were expecting. TERRA NOVA, the new family adventure drama series executive-produced by Steven Spielberg, Peter Chernin, Brannon Braga and David Fury, will preview in May 2011 on FOX prior to its series premiere in the fall. Jason O’Mara (“Life on Mars”) has been cast in the lead role of JIM SHANNON, the patriarch of the show’s central family. As previously announced, Emmy Award winner Alex Graves (FRINGE) will direct the pilot, and Emmy Award-winning executive producer and director Jon Cassar (“24”) has joined the series as an executive producer and series director. TERRA NOVA is produced by 20th Century Fox Television, DreamWorks Television, Kapital Entertainment and Chernin Entertainment. Steven Spielberg, Peter Chernin, Brannon Braga, David Fury, Jon Cassar, Aaron Kaplan, Katherine Pope, Justin Falvey, Darryl Frank, Craig Silverstein and Kelly Marcel serve as executive producers. Alex Graves will direct the pilot episode. SYDNEY -- Steven Spielberg's time travel TV series, “Terra Nova” will shoot in Queensland, with production expected to begin in October, state premier Anna Bligh said Monday. "Fox Broadcasting has today confirmed Queensland as the location of choice for 'Terra Nova' … and once again shows Queensland's ability to attract first rate productions to the state," Bligh said. "My government provided considerable incentives through Screen Queensland to secure this production which, in turn, will generate in excess of AUS$54 million ($50 million) in economic activity and create thousands of jobs," she added. Bligh said that around 80% of the cast and crew will be Queenslanders. Production will be centered on locations around southeastern Queensland and at the Warner Roadshow Studios on the Gold Coast. “We wanted this ambitious series to look like no other on television and Queensland provided the best of all possible worlds," executive vice president of production, Jim Sharp added. Starring Jason O’Mara (U.S. version of "Life on Mars"), “Terra Nova” tells a group of scientists from 2149 who travel back 85 million years to prehistoric Earth to try to save the planet that is dying from development and overcrowding. It will be executive produced by Steven Spielberg and Peter Chernin. Alex Graves and Jon Cassar will direct the pilot and the series. Spielberg made HBO series “The Pacific” in Queensland and Victoria in 2007. Local industry speculation had “Terra Nova” being made in Australia for the past six months. 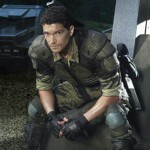 Fox executives said last week that the launch of the 13-part, one-hour series had been pushed back to the fall of 2011. "It was mainly due to the scope of what this show is going to take," Fox Entertainment president Kevin Reilly said at the Television Critics Association's press tour. "Hopefully we'll be able to recreate the same thing we did with ‘Glee.'" Fox's "Terra Nova" has tapped Allison Miller as its next inhabitant. Miller joins previously cast star Jason O'Mara on "Terra Nova," the mega-series from Steven Spielberg, Peter Chernin, Brannon Braga and David Fury. "Terra Nova," set for a 2011 launch, centers on humans from the year 2149 who are forced to find a way to save the human race -- and discover a rip in the time-space continuum that can send them back to pre-human Earth. 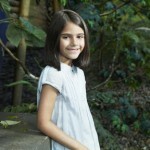 Miller will star as Skye, a veteran Terra Nova resident who takes O'Mara's character's son under her wing. Miller's credits include NBC's "Kings" and the Zac Efron feature "17 Again." "Terra Nova" is also exec produced by Jon Cassar, Aaron Kaplan, Katherine Pope, Justin Falvey, Darryl Frank, Craig Silverstein and Kelly Marcel. Alex Graves is directing the pilot. EXCLUSIVE: Avatar co-star Stephen Lang is eyeing time travel in the opposite direction. I hear Lang, who played the baddie in James Cameron's futuristic sci-fi tale, is in talks for the lead opposite Jason O'Mara on Fox's prehistoric drama series Terra Nova. He was an early favorite for the role but his feature commitments (Conan) prevented him from pursuing it until he just became available and received an offer from the Terra Nova producers. (A fun footnote: Terra Nova was originally set in 2149, just 5 years before the events in Avatar.) Lang would play the role of Frank Taylor, the charismatic and ruthless leader of the Terra Nova settlement. Alex Graves is set to direct the pilot for the series. PREVIOUS 4PM: Terra Nova executive producer David Fury has departed Fox's upcoming pre-historic drama over creative differences. "He was beloved by the producers on the show, but it just didn't work out," a source close to the series said. Showrunner Brannon Braga, who brought Fury over, will now be the drama's sole writing executive producer as no direct replacement for Fury is planned. Production on Terra Nova, from 20th TV, Chernin Entertainment, Kapital Entertainment and DreamWorks TV, is scheduled to begin in October in Australia. The series, starring Jason O'Mara, will launch in fall 2011 after a preview this coming May. Avatar baddie Stephen Lang has closed a deal to star on Fox's upcoming series Terra Nova, just as Deadline predicted. He will play the lead opposite Jason O'Mara on Terra Nova, a colony of humans from 2149 who take a second chance at building a civilization by going back 85 million years. Lang plays the charismatic and ruthless leader of the Terra Nova settlement. Alex Graves is set to direct the pilot produced by DreamWorks TV, Chernin Entertainment, Kapital Entertainment and 20th TV. - A female doctor (biologist) is being added called Dr. Shannon. She has 3 children one of which is illegal as since 2149 you can only have 2 children. She is taking her family to Terra Nova. She is separated from her husband Jim. Both of these I understand will be series regulars. I'll send you more when I get to look at other scripts. Casting Director is looking for two Female Actors to become series regulars on the new FOX series, "Terra Nova". "Terra Nova" is a new STEVEN SPIELBERG produced show about a group of humans from 2149 who travel back in time 85 million years and start civilization anew. contempt for Taylor and the colony, though her situation forces her to trade with them. Despite being the beloved and respected leader of her little band, Mira is deeply worried about her ability to lead them with limited resources, but she does her best to hide her vulnerability beneath the demeanor of a confident leader. She seems to have an insight into Terra Nova leader Frank Taylor that few have - and her opinion of him isn't good sptv050769. SERIES REGULAR DIVERSE ACTOR ONLY. 20th Century Fox TV has found the youths who’ll help round out Jason O’Mara’s family in the upcoming time-traveling drama Terra Nova. Landon Liboiron (DeGrassi: The Next Generation) will play Josh, the 17-year-old of Jim (O’Mara) and Elisabeth (Charlie and the Chocolate Factory’s Shelley Conn) Shannon who also finds a father figure in Frank Taylor (Avatar’s Stephen Lang). Newcomer Naomi Scott will play his sister Maddy, a bright 15-year-old, while newcomer Alana Mansour has signed on as Zoe, the youngest member of the Shannon clan who is smuggled into the time-traveling portal that takes everyone to the Terra Nova settlement. 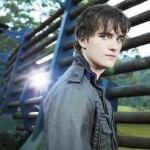 Fox has completed casting on its upcoming drama Terra Nova so production can begin next week in Australia. 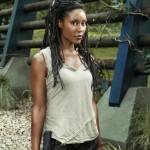 The last actor to join the cast of the time-traveling drama is Christine Adams (The Whole Truth), who will play Mira — a battle-hardened resident of Terra Nova who gets to know the Shannon family. Other actors who have previously joined the high-concept series include Jason O’Mara (Life on Mars), Stephen Lang (Avatar), Shelley Conn (Charlie and the Chocolate Factory), Mido Hamada (24), Allison Miller (Boston Legal), and Landon Liboiron (Degrassi: The Next Generation). O’Mara plays patriarch Jim Shannon. The drama bows next May and takes place 100 years in the future. Is the pilot episode of Fox's new sci-fi drama 'Terra Nova' set to be the most expensive ever? Just a few months ago all looked rosy in the 'Terra Nova' garden. It had all the ingredients for a sure-fire ratings winner for the post-'Lost' generation: Dying planets! Parallel worlds! Dinosaurs! Time-traveling! Stephen Spielberg! Having nabbed 'Fringe' director Alex Graves to direct the pilot, filming was set to begin this fall. But now, reports are coming in that all is not well, and that cost overruns have meant that even before a single frame's been shot, the pilot has already cost almost $10 million. Sources have described the production as a "debacle," and according to 'The Wrap', as prices and creative disagreements keep mounting on the Australia-based series, the cost could keep spiralling upwards to as much as $20 million. That's the cost of a feature film, not a one-hour TV episode. To put it into perspective: The pilot episode of 'Lost' was, at the time, the most expensive ever made. It's estimated to have cost between $10 and $14 million, but was essentially a twofer as it covered the first two episodes of the series. It remains one of the most critically acclaimed pilots (no pun intended) of all time. May 23 (9:00-10:00 PM ET/PT) and Tuesday, May 24 (9:00-10:00 PM ET/PT) on FOX. The show will then premiere in the fall. NATHANIEL TAYLOR (Stephen Lang, “Avatar”). JIM SHANNON (Jason O’Mara, “Life on Mars”), a devoted father with a checkered past, guides his family – wife ELISABETH (Shelley Conn, “Mistresses”); and children JOSH (Landon Liboiron, “Degrassi: The Next Generation”), MADDY (Naomi Scott, “Life Bites”) and ZOE (newcomer Alana Mansour) – through this new land of limitless beauty, mystery and terror. In addition to blue skies, towering waterfalls and lush vegetation, TERRA NOVA offers new opportunities and fresh beginnings to its recent arrivals, but the Shannons have brought with them a familial secret that may threaten their citizenship in this utopia. These adventurers soon discover that this healthy, vibrant world is not as idyllic as it initially appears. The areas surrounding TERRA NOVA are teeming with danger – and not just of the man-eating dinosaur variety. The Shannons will come to suspect that not everyone on this mission has the same idea of how to best save mankind; in fact, there may be forces intent on destroying this new world before it even begins. TERRA NOVA is produced by 20th Century Fox Television, Chernin Entertainment, DreamWorks Television and Kapital Entertainment. Steven Spielberg, Peter Chernin, Brannon Braga, René Echevarria, Jon Cassar, Aaron Kaplan, Katherine Pope, Justin Falvey, Darryl Frank, Craig Silverstein and Kelly Marcel serve as executive producers. Alex Graves serves as executive producer and directed the series preview. Honestly, this post WILL NOT execpt any more photo's! I am SO looking forward to this! Thanks for the info, Two Sides! And yeah, i'm looking forward to it as well! It looks promising. I have a feeling it will generate quite a bit of hype (nearer the time of airing of course). Sounds like a good idea for a show, and considering they have spent so much money, there is no reason why it can't be a really great show! The executive producer of Terra Nova has suggested that the show is "ambitious". Speaking to the Wall Street Journal, Peter Chernin explained that he wants the series to stand out. "I think it is important to do both movies and television shows that are bigger and better than everything else so they stand out from all the rest," he said. "Terra Nova is ambitious with terrific special effects." However, Chernin claimed that audiences will also be interested in the show's storylines. "[It] offers complicated and interesting storytelling well-suited for TV audiences," he said. "The time travel concept is a fascination that provokes a lot of conflicts for characters that audiences can relate to. "Terra Nova transports about 1,000 families from a dying future Earth to prehistoric Earth, 85 million years in the past. The idea is to rebuild civilisation and I believe the longing to start over is something that everyone can relate to at one time or another." 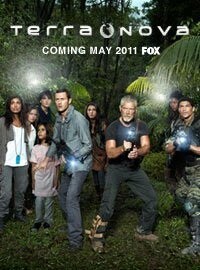 A preview of Terra Nova will air on Fox in May. 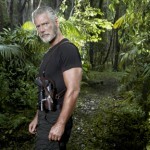 Stephen Lang has suggested that his character on Terra Nova is complex. The Fox show focuses on a group of people who travel back to prehistoric times to begin a new civilisation and Lang has signed up to play their leader, Commander Taylor. However, the Avatar star told the Wall Street Journal that Taylor has good and bad sides. "You know, if I had read the script and Commander Taylor was merely a villain or written clearly as the antagonist, I would have been far less enthusiastic than I was," he said. "Taylor is a very good man. He's a hero, but like many heroes, he's got his hubris." Lang also revealed that audiences will be unsure whether Taylor is trying to protect the colonists or control them. He said: "We build a big stockade and that fence acts as a metaphor for the entire show, because the question will get asked by the colonists and pilgrims - 'Is this fence designed to keep creatures out or is it designed to keep us in? How free are we?'" Fox will air a preview of Terra Nova in May. Sounds like most leaders in TV shows. Jack, in LOST, had his good sides but was still overshadowed by things, especially self belief. So it doesn't particularly surprise me in anyway that his character is to be the same. He was a brilliant villain in Avatar. Seems like a great actor all round. Looking forward to seeing him in this! I am glad! Jason O'Mara is such a good actor! I loved his performance on the US version of "Life On Mars" SO Much! I am glad to see him in something epic as well as philosophical. Like I said on the main site, I thought it looked quite impressive. I'm not sure if I'll like the characters though... they already annoy me, and that was what, 30 seconds? But definitely looks watchable You can see the sizeable budget they had to work with! Fine with no plot twists. I think this will be "It". Dude, haven't seen much of you recently! I'm looking forward to this too. It could be epic, it could fail dramatically Either way, I'm exc ited for it. I wonder where they put all that money?